With 150 vendors, you’ll find something for everybody to finish your holiday shopping in NYC. Artisan boutiques offer unique gifts that can’t be found anywhere else in an open-air market, inspired by the famous Christmas markets in Europe. There are plenty of famous rinks in NYC, like Central Park and Rockefeller Center, but Bryant Park’s 17,000-square-foot rink is the only one to offer free admission. The rink is open through the end of the season, from 8 a.m. – 10 p.m. daily. At The Lodge, the rinkside bar and food hall, you can order in without leaving the fun and excitement of Bryant Park Winter Village behind. If the weather is fair, you can also enjoy an outdoor beer garden. 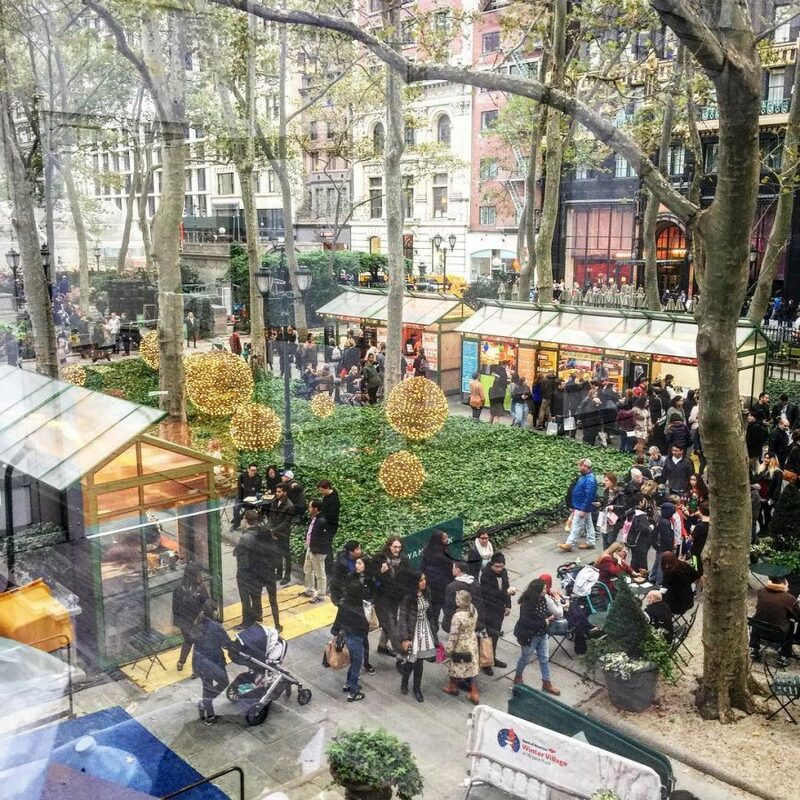 Holiday tree lightings are a NYC tradition and Bryant Park is no exception. The Bryant Park Winter Village tree lighting is the park’s largest holiday celebration, including a fireworks show and live music after on the ice skating rink. Don’t wait. Book your holiday trip to NYC today with exclusive offers from Hotel 48LEX New York.